Strong passwords are important for security. I think by now we mostly got that point across. But even then “I am not gonna do it” remains common non–action, like John Oliver puts it to Edward Snowden. Managing strong passwords is hard. 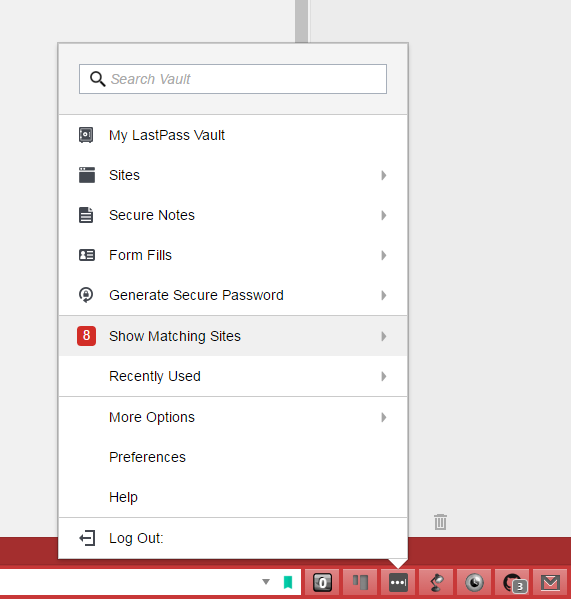 LastPass is a password manager that makes it easy. LastPass is an online service that stores and synchronizes passwords. It works through browser extensions to access and fill them on sites. Types passwords into login forms. It makes complexity of the password irrelevant to convenience of it. LastPass synchronizes passwords across all your browsers and devices. It has the most impressive software/plugin/app line up I had ever seen. It includes not just “mainstream” browsers, but many less so (like an old Opera) and special builds like portable Chrome and Firefox. Other than passwords it can save notes. These can be arbitrary text or one of templates (such as documents or server access details). accounts on sites that had security breaches. and even offers option to print a grid of access codes. Most of the kinks I encountered have to do with form manipulation. LastPass has to interact with websites inside a browser page and some of them do less well. On some of the sites I frequent it fails to fill in login details partially or completely. Thought it is still quite easy to copy login details from the extension into a form. It is less smooth than usual, but still beats remembering and typing long complicated password yourself. The most notable limitation of free version — it only syncs passwords within one platform. So you can use it on desktop or mobile, but not between the two. Enterprise versions adds things relevant to integration in “serious” business infrastructure. LastPass has worked out well for me over time. It improved quality of passwords I use and ease of it. Audit feature also keeps me disciplined about getting rid of old and weak passwords. If you don’t use password manager I would recommend you to try. If only to run audit and see how strong your current passwords are. I use Keepass to pretty much the same effect. Big plus: Passwords are not a 3rd party server. Big minus: It’s local by default. If you want it on your phone or whatever. You need to set up some sync yourself.